This could lead to "opto-ceutical" methods for treating mental health disorders. A host of mental health issues have been tied to light: from trouble related to our circadian rhythms to seasonally-related mood disorders, light can have a profound impact on our health. 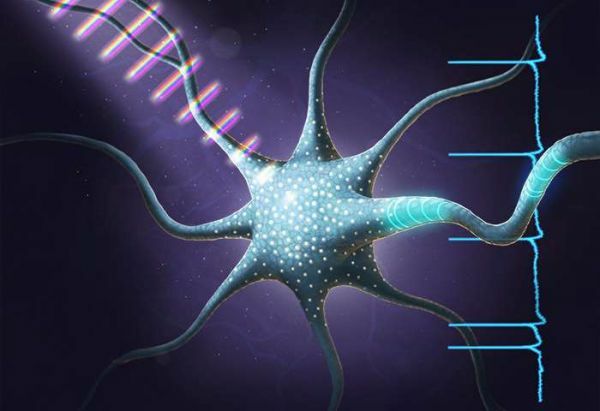 In a new study, researchers have put this long-held theory to the test using specially crafted ultrafast light pulses that can trigger neurons to fire, as well as altering the patterns in which they fire. The study, published in the journal Nature Physics, was completed in mice by a team of researchers at the University of Illinois, led by Dr. Stephen Boppart. It’s the first demonstration of coherent control, a practice using light beams to control functionality within a living cell. The success of this demonstration could allow researchers to develop new methods for treating mental health disorders in the future by using light to direct neural activity. Dr. Boppart and his team used optogenetic mouse neurons, cells with added genes to make them responsive to light. While the team modified these cells, the researchers assert that the same results should be possible in cells that are naturally sensitive to light, like those found in the retina. In nature, biological systems that use and are affected by light do so with the light from the Sun. But within this controlled experiment, the research team used fast pulses of light less than 100 femtoseconds long. This has a different effect than naturally-derived light sources, as it’s a large quantity of energy in a short period of time. The team changed both the length of the pulses and their wavelengths to truly explore the different responses that were possible.